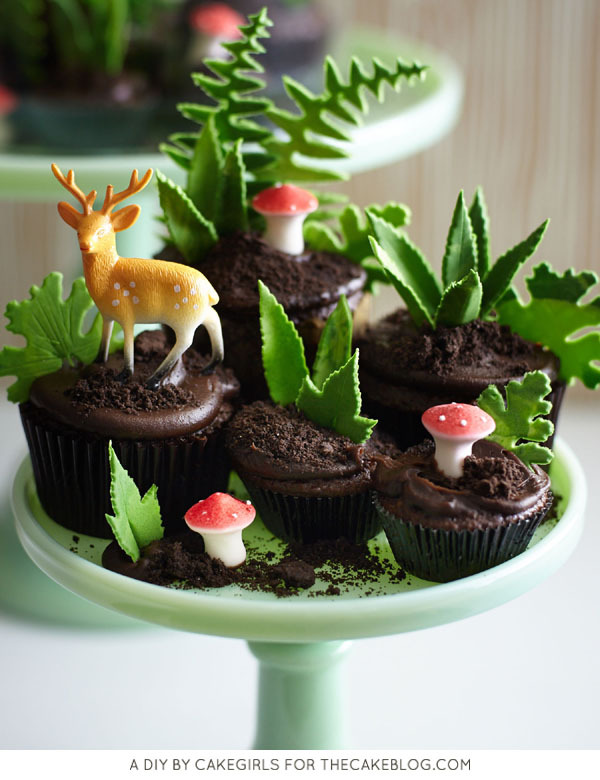 Cupcake Terrarium – how to make a nature-inspired terrarium filled with cupcakes, edible greenery, petite mushrooms and miniature deer. 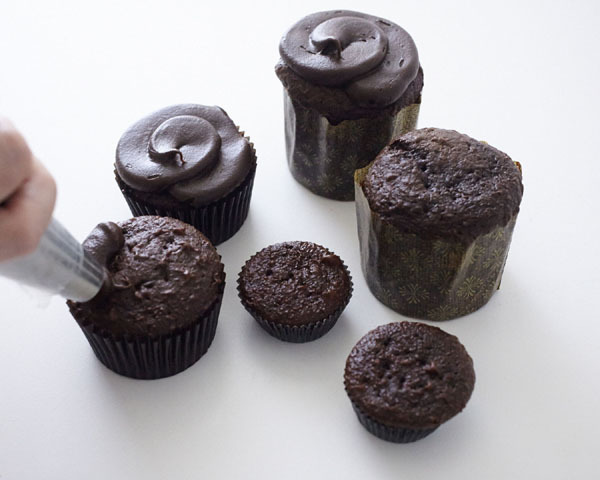 A step-by-step tutorial by our contributors, Mary and Brenda Maher of Cakegirls. My sister and I were born and bred in the Midwest and there’s no time like the fall to take a long walk, kick around some leaves and take in some nature. It’s such an obvious source of creative inspiration and translates to cakes so easily, with its rich colors and textures. It would have made a lot of sense to put all this creative energy into a wedding cake, and although I love me some Flora and Fauna inspired wedding cakes, I wanted to create something a little less structured, a little simpler to execute and something that might work for a wider range of occasions. 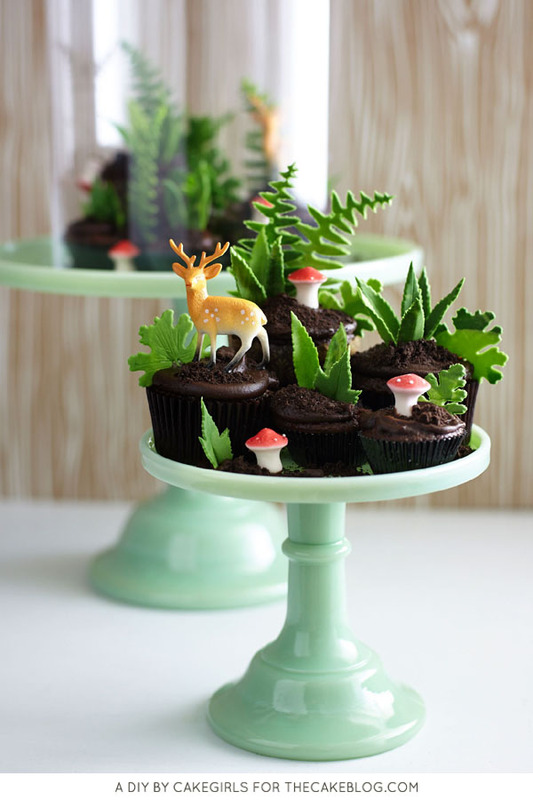 So, the cupcake terrarium started to make a lot of sense. 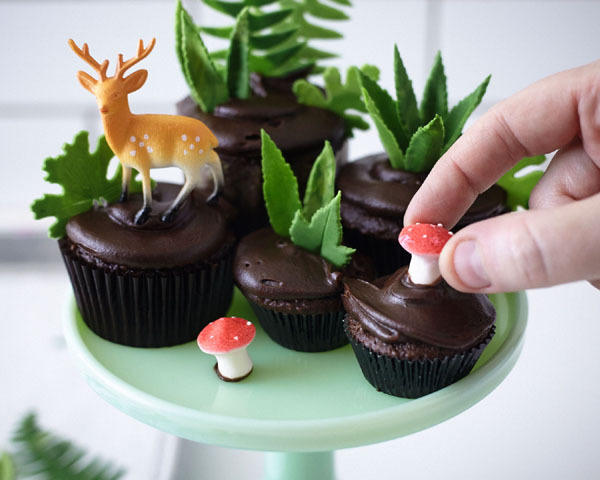 Dark chocolate cupcakes, natural looking edible leaves, colorful mini mushrooms and little plastic deer: Elegance meets a bit of tongue in cheek. 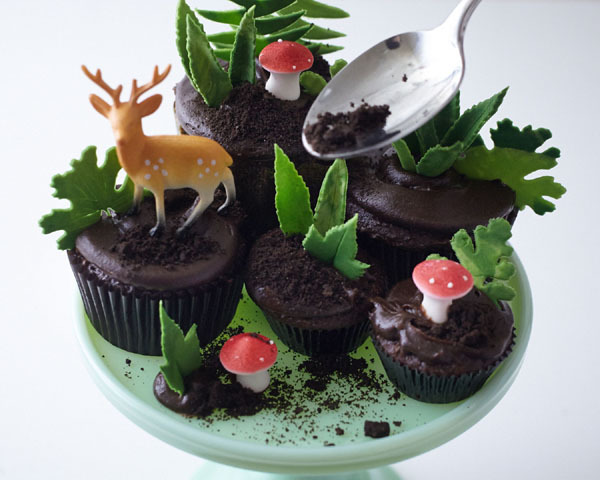 And, the best part is that there’s no wrong way to create this little edible landscape. 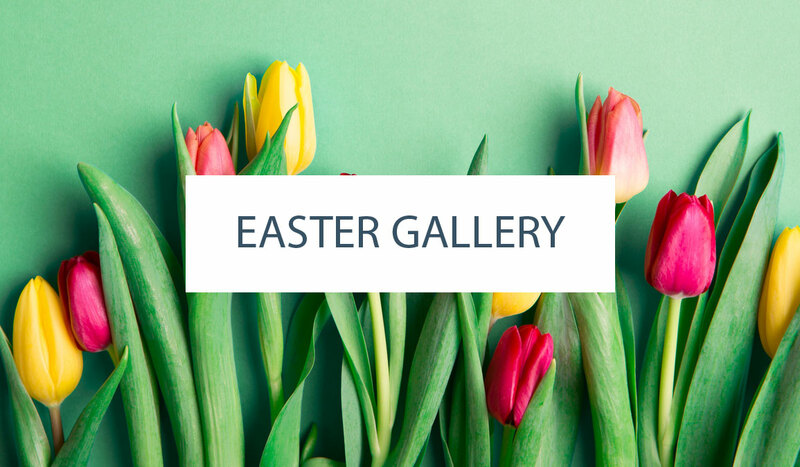 Perfect for a fall dinner, bridal shower, birthday or baby shower, let the mood strike and your creative whim be your guide. 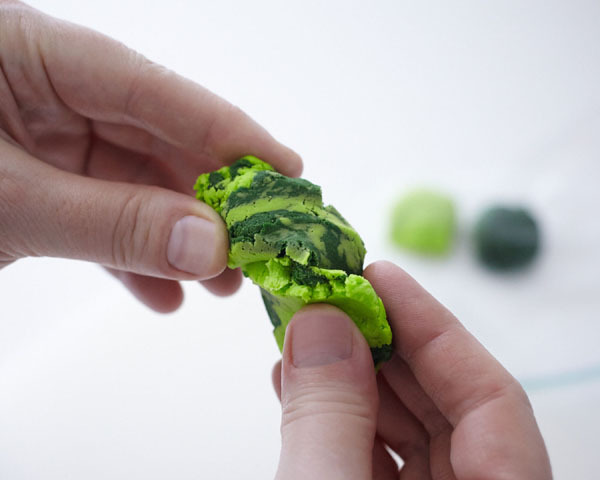 Tint the gum paste two shades of green. 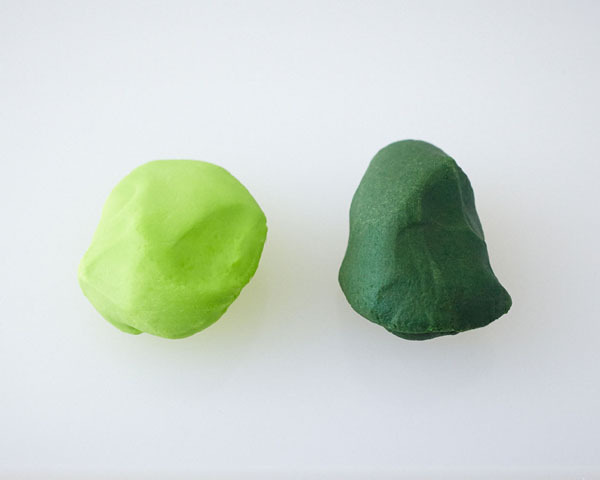 We used yellow and green paste to create the bright green color. We used yellow, green and a touch of black paste for the evergreen color. 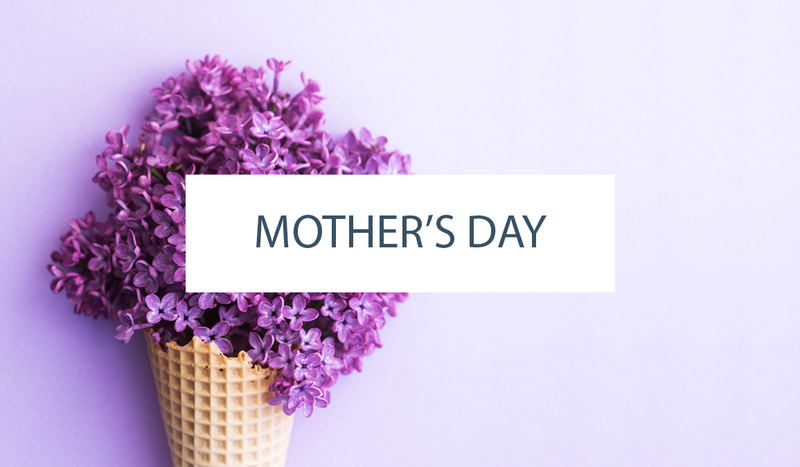 Pull out two small portions of each color and leave the remainder covered tightly in the bucket or in a zipped plastic bag. Lightly knead the two colors together but don’t mix them completely. 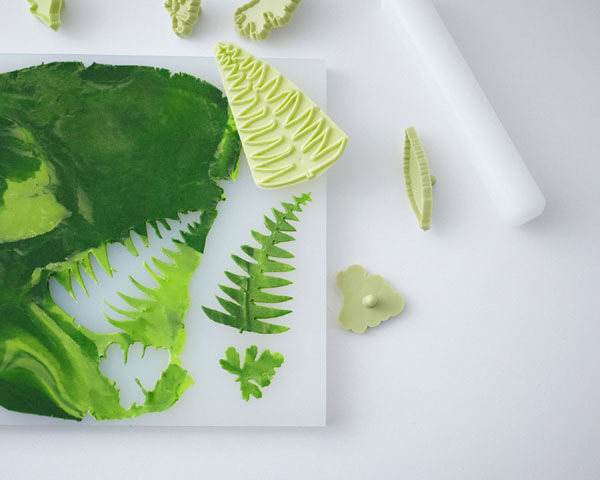 On a surface covered lightly with powdered sugar, roll the marbleized gum paste as thinly as possible (1/16″ or so) and use the leaf cutter set to cut out a variety of leaves. 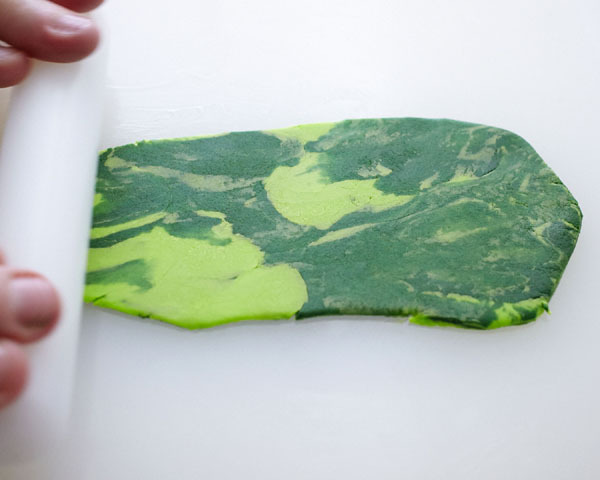 Repeat with remaining gum paste as necessary. 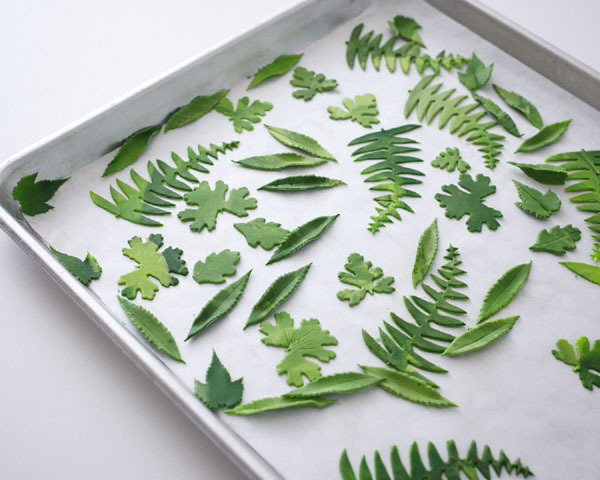 Place them on a parchment covered tray and leave them to dry overnight. The next day, flip them over and let them dry an additional day. 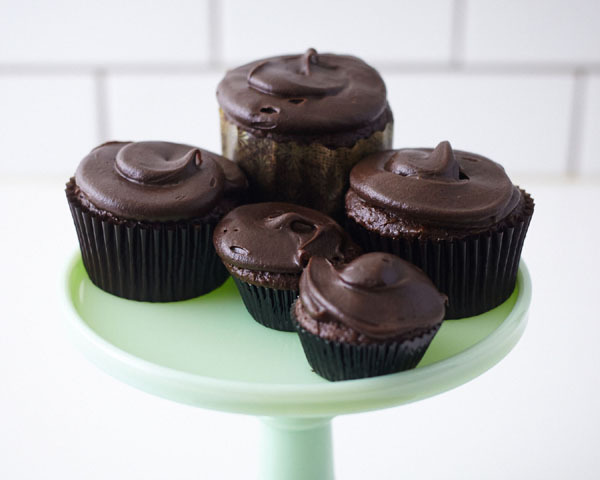 Bake chocolate cupcakes in the three different sized liner and ice with a dark fudge icing. 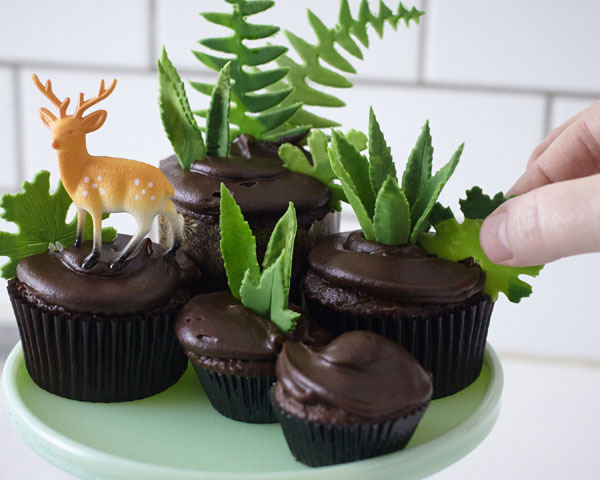 Arrange the various sizes on your serving tray, place the deer and greenery where you think they look good. Add the mushrooms and then use a touch of buttercream on the stand to adhere additional mushrooms. Sprinkle the whole display with chocolate wafer crumbs to finish. 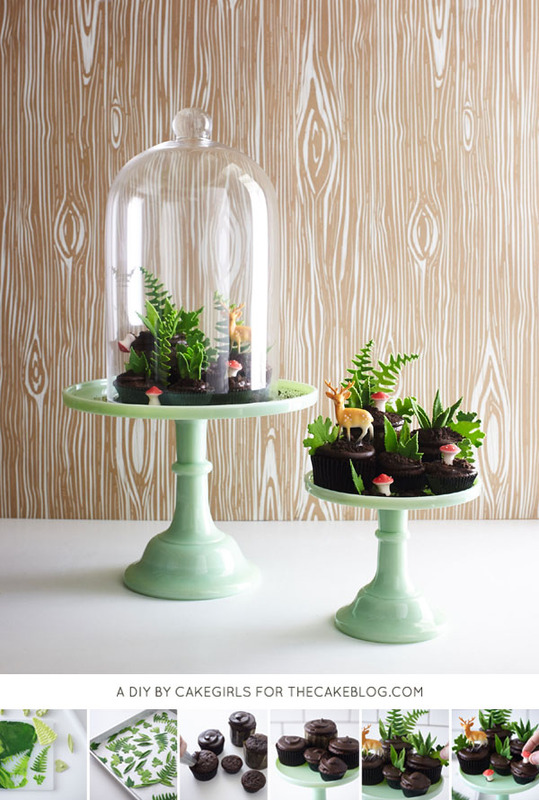 Place glass dome on top and your Cupcake Terrarium is complete. 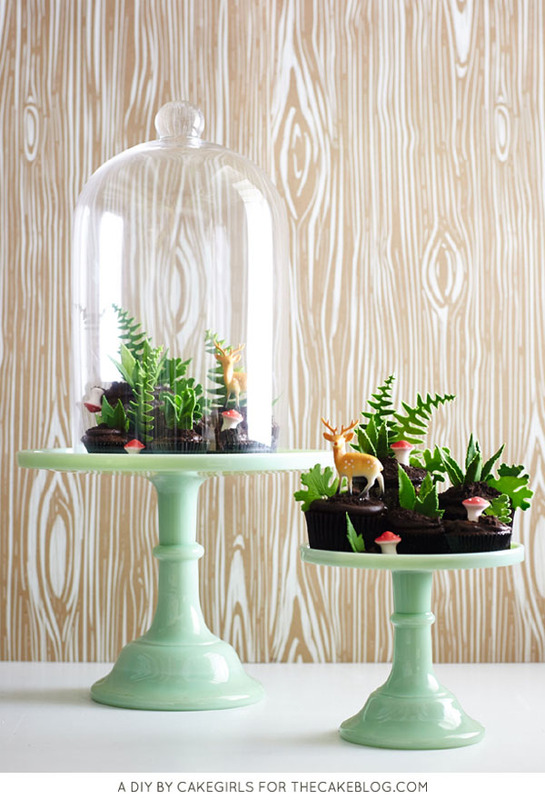 This cupcake terrarium is SO cool. I definitely would love to make the recipe but I don’t think I have the patience.. I’ll just have to ogle your gorgeous images instead. Pinned! Oh my goodness. 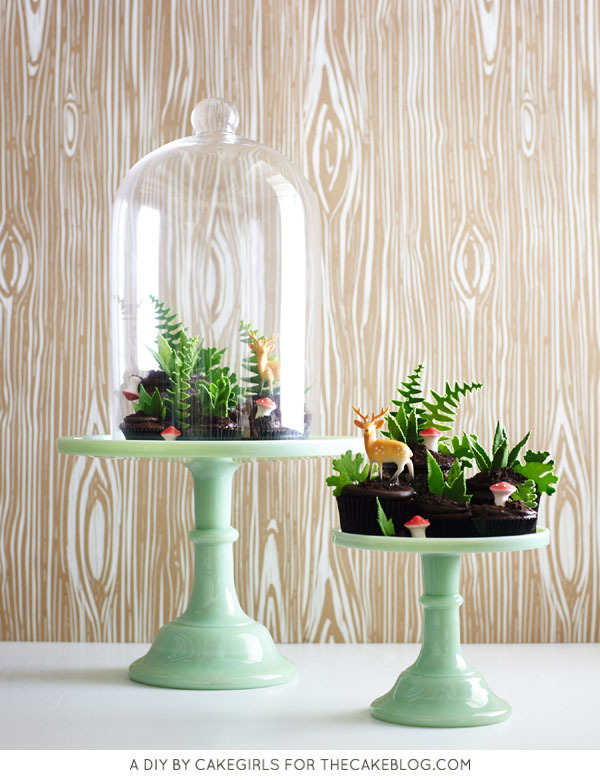 This cupcake terrarium is so adorable. Loved it!!! I love this terrarium. I will try to make something like that. The terrarium is just astonishing. Will definitely make it for one of my Christmas events as centerpieces. Thank you.